The cherry to matoes are a lot harder to sort through than the roma tomatoes. In some ways, the differences are less distinctive. Juliet – Need I say more? This red, oblong, hybrid variety is a consistent producer. It is a little bit firmer and tougher than I prefer, but it is a vigorous, productive plant. Sweet Chelsea – This variety was recommended by one of our Master Gardeners, and it has huge, beautiful red cherry tomatoes. It is a little later to start producing than other varieties, but that isn’t a big deal. 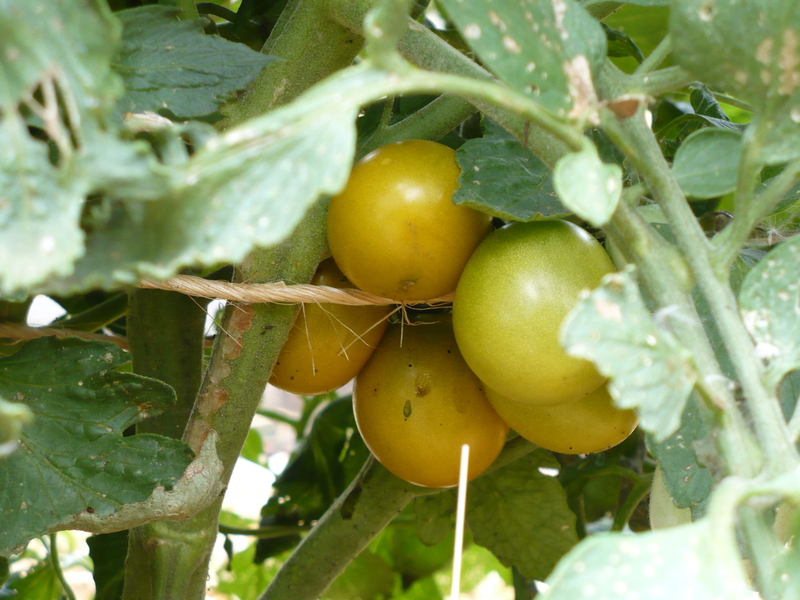 It is a high yielding tomato plant. Sun Gold – Super early and super sweet, the only problem with this variety is that it is prone to cracking as the summer progresses. Luckily, there is a new variety – Sun Sugar – that is the crack-resistant version. This plant has great early yields that are now tapering off. The fruit size also gets smaller as the season continues. Suncherry – The red version of Sun Gold. It is a nice medium-sized cherry tomato with great early yields, like its cousin. Luckily, it doesn’t seem to crack like Sun Gold. Chocolate Cherry – I think this was my favorite tomato in the garden this summer. The yields have not been as high as some of the other tomatoes, but the plant has been healthy and vigorous, and the fruit are delicious! Italian Ice – This Burpee variety was late to start producing, and the plant has succumbed to nematodes. 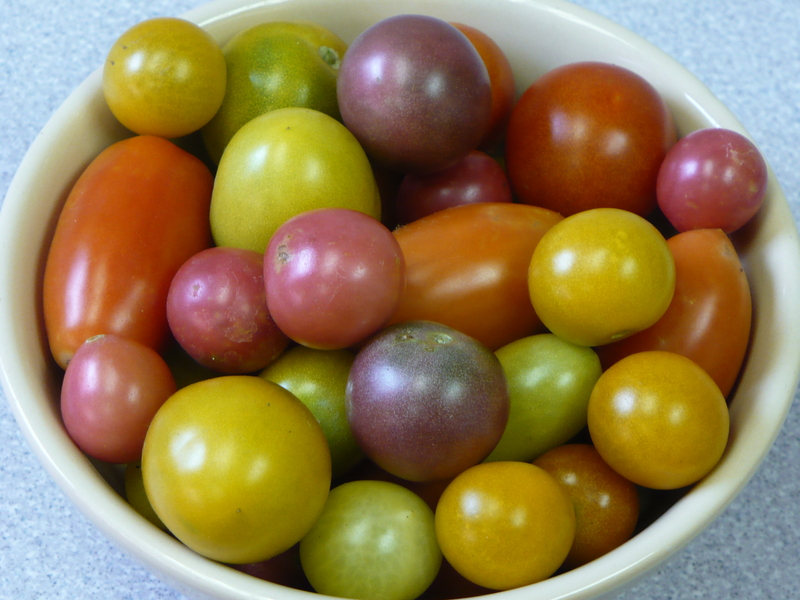 The tomatoes are tough and very mild – to the point of being bland. The yields have not been particularly impressive either. Ildi – This variety was recommended by a Master Gardener. It was supposed to produce huge clusters of yellow tomatoes. I don’t know if it was just the weather, but the clusters of blossoms usually only set 1 -3 tomatoes, rather than a whole handful. This plant also has been badly affected by the nematodes, so the overall vigor and yield have been poor. Green Grape – This variety doesn’t really belong in the Winners or the Losers category. The fruit have been large and great tasting (slightly more citrusy than most tomatoes), but the yields are low. The plant has been pretty healthy, and there are no other problems to report. I wouldn’t be afraid to plant this one again, just understand that it won’t have the huge yields of most cherry tomatoes. Posted on August 13, 2009, in Around the Garden and tagged Tomatoes. Bookmark the permalink. Leave a comment.